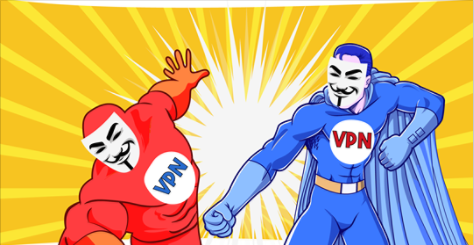 ExpressVPN vs Unlocator VPN 2019 - 5 Tests, 1 Winner! Unstoppable. Great Smart DNS. Unstoppable. Speed doesn’t change, works on all devices except XBOX and has a small yet effective VPN to stop DNS Hijackers when needed. Never slows you down unless using VPN in cafes and public places for protection. A Smart DNS is the way to go if you need access to everything. Fail / Fail / Fail I am located in the bahamas, and really wanted this to work. I was unable to install with modem (first fail), unable to install with smart tv (second fail). I spent 3 days trying to install with iphone, which was their fail safe approach, but unfortunately it was also the third fail. The help files are abysmal and tech support is poor. Will give 2 stars because there was a free trial period which allowed me to demonstrate that it would not work. Unstoppable. Speed doesn’t change, works on all devices except XBOX and has a small yet effective VPN to stop DNS Hijackers when needed. Never slows you down unless using VPN in cafes and public places for protection. A Smart DNS is the way to go if you need access to everything. I am located in the bahamas, and really wanted this to work. I was unable to install with modem (first fail), unable to install with smart tv (second fail). I spent 3 days trying to install with iphone, which was their fail safe approach, but unfortunately it was also the third fail. The help files are abysmal and tech support is poor. Will give 2 stars because there was a free trial period which allowed me to demonstrate that it would not work.